After an academic career in the UK Anabel Thomas has spent many years engaged in archive research, translating and writing in Tuscany. Recent publications include “Le fratesse e le mantellate terziarie della corte di Montalcino nel primo Medioevo” in Prima del Brunello: Montalcino capitale mancata, eds V. Serino and M. Ascheri and “Filling the Void: Reconstructing the chapel of the Bombardieri in the Fortezza at Radicofani” in Honos alit artes. Studi per il settantesimo compleanno di Mario Ascheri. 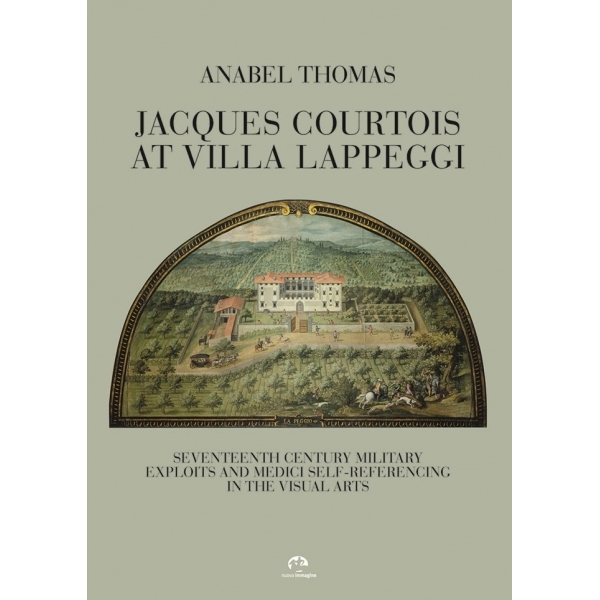 Jacques Courtois at Villa Lappeggi: Seventeenth century military exploits and Medici self-referencing in the visual arts follows in the wake of Garrisoning the Borderlands of Medieval Siena. Sant’Angelo in Colle: Frontier castle under the Government of the Nine (1287-1355) and its Italian version, Siena medievale e i suoi territori meridionali. Sant’Angelo in Colle: castello di frontiera sotto il governo dei Nove (1287-1355). Never did so much hang upon a label... The fame of the seventeenth century French artist Jacques Courtois as a painter of battle scenes rests in large part on the four great paintings of military engagements in the Thirty Years’ War and the First War of Castro that Courtois is said to have produced for Prince Mattias dei Medici at Villa Lappeggi just outside Florence some time during the 1650s. Originally constructed for the Medici family in the sixteenth century, Villa Lappeggi was in turn owned by Grand Duke Francesco I, his brother Ferdinando (subsequently Ferdinando I) and several other members of the Medici family before it was handed over to Count Giovanni Antonio Orsini di Pitigliano. It finally reverted in 1640 to Grand Duke Ferdinand’s grandson, Ferdinando II, older sibling of Mattias dei Medici. When the Flemish painter Justus Utens (also known as Giusto Utens) set about painting the series of Medicean villas in lunette form (including the scene presented here) between 1599 and 1602, the villa complex at Lappeggi was a comparatively simple affair. But dramatic changes were made when Prince Mattias assumed ownership of the villa in 1644. 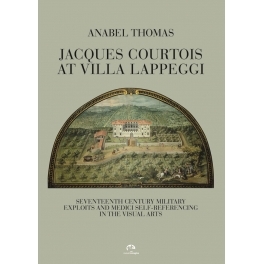 In this latest tussle with the intricacies and uncertainties of archival evidence and primary source material, Anabel Thomas attempts to disentangle some of the misconceptions concerning Courtois’ work for the Prince at Villa Lappeggi and his role in promoting Mattias dei Medici’s fame as a triumphant military commander. She also sets about clarifying why and how the label “Assault on Radicofani” has traditionally been associated with two of the four great paintings by Courtois that, according to an inventory drawn up of the Villa Lappeggi’s furnishings in 1659, were displayed together in a special room selected there by the Prince.